From improving public health to empowering women, the Murdock Trust partners with those who serve and inspire others. The Murdock Trust is an avid supporter of Adelante Mujeres, a grassroots non-profit that helps low-income Latina women and families “rise up” and succeed. Somebody has to help change the world, right? Thankfully, the M.J. Murdock Charitable Trust is always joining with those willing to take up for the challenge—and it’s right in our own backyard. The M.J. Murdock Charitable Trust was established by Melvin Jack Murdock, co-founder of Tektronix, lifelong resident of the Pacific Northwest, and dedicated philanthropist. Since its launch in 1975, the Murdock Trust has provided more than $960 million (that’s nearly one billion dollars!) in grants and support to over 3,000 organizations across Oregon, Washington, Alaska, Idaho, and Montana. This places it within the top five private foundations in the Pacific Northwest and the top 100 in the entire country. What makes the Murdock Trust truly unique is that it understands the complexity of social issues and focuses its resources on four very different yet intrinsically linked areas: scientific research, education, arts/culture, and health and human services. 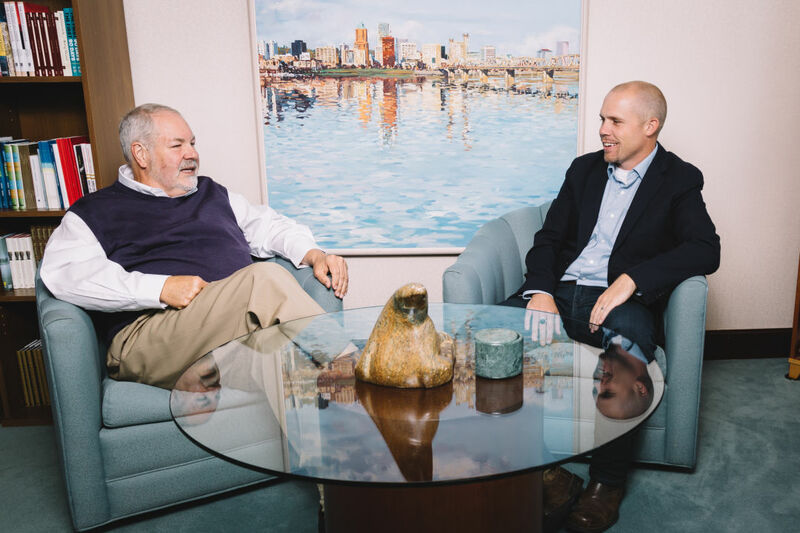 Murdock Trust CEO Steve Moore meets with Ben Sand, CEO of the Portland Leadership Foundation. Let’s explore what this means exactly. The Murdock Trust focuses on a diverse variety of urban, suburban, and rural organizations that support their communities from the ground up—and from the inside out. 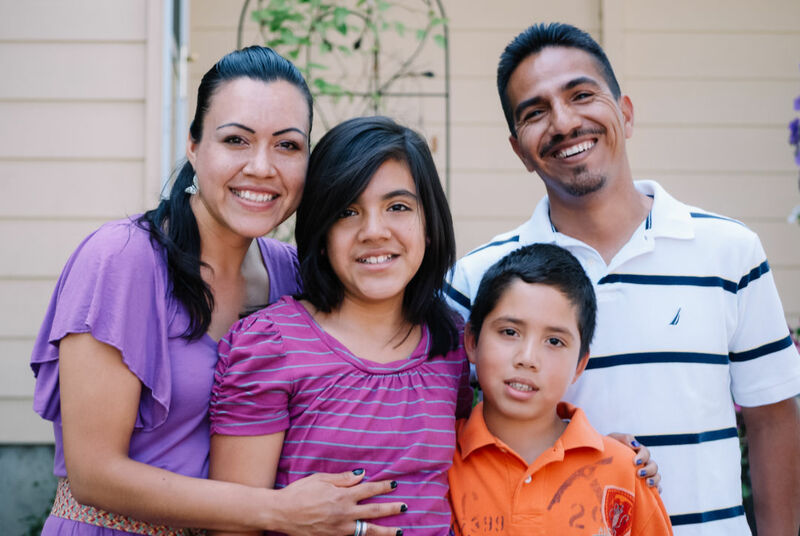 For example, in Portland, the Murdock Trust is an avid supporter of Adelante Mujeres, a grassroots non-profit that helps low-income Latina women and families “rise up” and succeed through a variety of educational and entrepreneurial programs. Another Portland grantee is the long-standing Albertina Kerr Center, which provides invaluable resources for children and adults facing mental-health challenges. 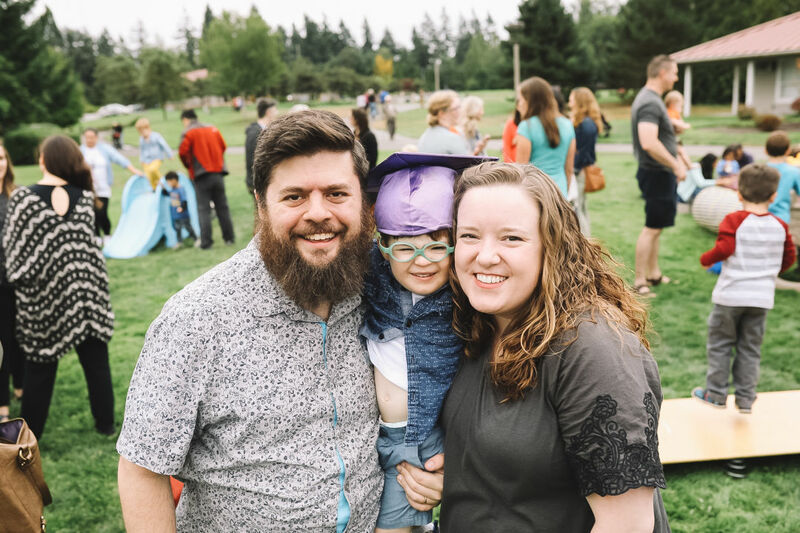 In Seattle, the Murdock Trust proudly supports Kindering, which partners with local hospitals, advocacy groups, and government agencies to help families with children with special needs. On the science front, Seattle-based PATH is yet another of Murdock Trust’s grantees. This global team of scientists, health professionals, and engineers works to improve the health and well-being of every person on the planet. And we couldn’t talk about Murdock Trust without mentioning its ongoing support for both Oregon’s and Washington’s public broadcasting stations. The Murdock Trust proudly supports Kindering, which partners with Seattle hospitals, advocacy groups, and government agencies to help families with children with special needs. From science and mental health to guiding families in need, the Murdock Trust understands that a broad scope of understanding is needed for communities to truly thrive. Indeed, we can all benefit from their vision and efforts. If you’re a nonprofit executive or community leader, maybe you would like to apply for a grant, or attend one of the trust’s capacity building enrichment programs. And if not, you’re encouraged to volunteer at one of the many organizations that the Murdock Trusts supports.